Collectors’ tips: Tim Bourne says you also need to factor in the cost of servicing the watch on a regular basis. Ever since taking over as the new worldwide head of watches for auction house Sotheby’s in August, Tim Bourne has been busy drawing up a new catalogue of watches, and organizing an exhibition in Singapore in advance of a major auction on 6th October. The auction is expected to feature around 470 lots dating from the 1800s. And Sotheby’s estimates to net between $9 million and $10 million during the event. Shortly before Mint Indulge went to press, we spoke to Bourne and asked him how budding collectors and watch aficionados should begin on their hobby: how do you buy a serious watch? “First of all, you must be clear about the financial capabilities of the buyer," said Bourne. Find out how much you want to spend and then use the Internet to figure out what brands and models come within your budget. Bourne, in fact, is an enthusiastic advocate of using specialist watch blogs and watch websites. They are so mechanically complex that you need to think of the purchase as you would think of buying a luxury car." If you intend to wear the watch on a daily basis, Bourne said, you also need to factor in the cost of servicing the watch on a regular basis. “Over a period of time, the mechanism inside tends to deteriorate very, very slowly," he explained. Buyers should also account for the cost involved in shipping and servicing the brands. “But some people do prefer to never wear them at all. They keep them in the case and just take them out and look at them every now and then. In which case, this wear and tear will be much less." 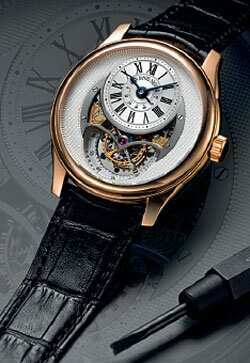 Another aspect of the watchbuying process is the idea of resale value. Not all brands, even very expensive ones, are popular with collectors. So buyers, conscious of the lasting value of their collections, may have to contend with this aspect. But are there thumb rules besides that oft-heard one: “Nothing retains value like a Rolex." Bourne said, “Rolex is unique in that (aspect)…they make so many watches—approaching probably a million a year...which really makes it a mass market watch. But the magic of Rolex is that however many they sell...each year, when they launch Explorers or Submariners or Daytonas, the demand is massive. Globally, it is one of the design phenomena of the last decade." Despite the shape and working of the movement remaining largely unchanged for decades, Bourne said, Rolex has still been a brand that has a remarkable ability to retain value. But, he said, there are other brands. 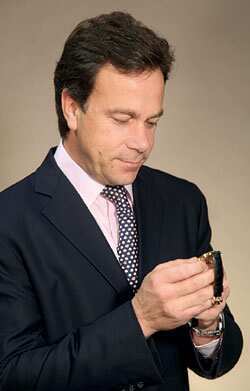 “There is one other major brand, Patek Philippe, that holds value well. But there are also others, like Vacheron Constantin, Audemars Piguet, Lange and Sohne and so on that are also collectible." The trick is to acquire limited editions and small production runs. “Those are the ones that collectors really seek out, and really retain value." There are several books popular with collectors are as well. Especially, specialist publications for specific brands. But one authoritative publication, Bourne says, is the Wrist Watch Annual that compiles all references brought out by all major brands in a given year. Bourne himself wears a Rolex Explorer. And while he isn’t a collector himself, he says if he did have to acquire modern brands it would be watches from Lange and Sohne, and FP Journe. “But if I had to buy a historical piece, it would have to be a really nice high-quality English pocketwatch from the late 19th century that has many, many complications—a minute repeater or a tourbillon or a split seconds. They were perfectly sized and really high quality. If it were possible, that is what I would buy."